A quick update from a broadband-compromised hotel room in Botswana, on two three four matters that will no doubt be of interest to regular readers. 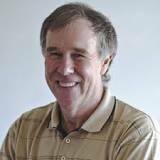 First, you might have noticed that a few of us on social media had renewed cause to be exasperated at the Dawkinsian Twitter presence of Prof. Tim Noakes (for those who don’t follow that link, I’m referring to his predilection for saying outrageous things on Twitter, and then blaming the audience for reacting to those utterances). Fresh from hinting that Robin Williams’ mental turmoil might have been due to his vegetarianism, and from misrepresenting his own words about LCHF diets and their relationship to cancer, dementia and so forth, Noakes thought to make a point about bad science and potential cover-ups of inconvenient data by posting fodder for the anti-vaccination lot. Nathan Geffen has said enough on the tweet in question, so I’ll not go into it in detail here, except to make two points: one, Noakes’ first defence, when people (rightly) called him out for tweeting “Dishonest science. Proven link between autism and early immunisation covered up?” (with a link to a video about an alleged CDC cover-up) was to say he was “just asking questions”. Those are weasel-words of the highest order, in that they absolve the speaker of all responsibility for what they are saying, and place the entire interpretive burden and responsibility on the audience. When you are a prominent healthcare professional, operating in full awareness of a context where pseudoscience is rife – and sometimes manifests in anti-vaxxine conspiracy theories, that kill people – your words should be chosen more carefully. Also, some of you might remember a certain President Mbeki using the “just asking questions” defence regarding HIV/AIDS. Mbeki actually believed in the “alternative” story regarding HIV, so his weasel-words were an attempt to deflect criticism, and gain support for challenging the mainstream hypothesis. In the case of Noakes, he seems to believe in the consensus view regarding the safety of vaccines, which is comforting. He might have wanted to say “Dishonest science, as in this CDC coverup, is never acceptable – even if the CDC reached the correct conclusion”. He could perhaps even have chosen to clarify the point on noticing how it was being read, instead of doubling-down on blaming his audience for misinterpreting him. Normally, it would be far too demanding to ask that someone had found and read potential debunkings such as Gorski’s, in advance of sharing a story. But I’d argue that a higher standard applies when tweeting something of this nature, from an account such as his. There are examples of bad science and cover-ups that don’t run the risk of reinforcing pseudoscience, which could have served as his example of the same point. If this example was to be used, it was incumbent on Noakes to make sure that he wasn’t perpetrating a hoax. Sloppy, and irresponsible, in other words – and the kind of thing that merited a retraction and an apology. Instead, he’s now asking Geffen to apologise and retract, yesterday commenting with a link to Dr. Thompson’s (the CDC scientist) statement, which Noakes reads as vindicating his tweet. But again, the statement in question had by that time already been extensively discussed and problematised, and more to the point, the paper that exposes the “conspiracy” had already been retracted 6 days earlier. The Noakes comment is however oblivious to all this, opening with “Looks like the cover-up is indeed real so what I wrote is correct”, going on to quote extensively from Thompson’s statement, and then closing with “Can we now expect also a retraction of your article, Mr Geffen? And an apology?”. This is the problem with relying on your Twitter following for breaking science news, which you then retweet: it’s often late, and it’s often uninformed. By the way did you see this scientific paper that made the headlines in New York and Boston on Monday and has become something of a hit on the social media? Incidentally this is the 24th such scientific study to show the superiority of the low carbohydrate over the low fat diet. The science is outlined in Real Meal Revolution in 20 000 words with 4 pages of references. But it seems you have not read any of it? The account of the paper that’s being most widely shared is the one you can read in the New York Times, which indeed shares Noakes’ enthusiastic reading. Others are not as convinced, arguing that it demonstrates nothing of the sort. Here’s Dr. Yoni Freedhoff with a more temperate analysis, and Dr David Katz makes similar points. As always, my concern is not the diet – it’s the fact that it’s misleading to present things as certain when they are not, and to suggest to a trusting audience that things are “proven” or settled when they are nothing of the sort. It’s also disingenuous, in light of uncertainty, to sneer at your critics in the way that last quoted sentence does. The third matter, in brief: Eusebius McKaiser and I are going to try something that might be good fun on the radio tomorrow – an argument workshop, where we discuss some critical thinking concepts you might find of interest (or at least, entertaining, in light of examples such as the above). Do tune in to PowerTalk (on PowerFM) at 11am if you’re keen to listen or call in. Apologies, but I have to now mention a fourth thing, or else the post’s title will make no sense. My friend Hans Pietersen has recently brought a case to court, involving schools that violate the secularity provisions of South Africa’s National Policy on Religion in Education. I’ve written about the policy (and this issue) many times before, but myself and others have had little to no joy in getting schools to play ball, despite many letters and calls to principals, district offices and the like. A lawsuit is a last resort, but unfortunately, one that seems necessary in this case. Hans’s press release regarding the case can be downloaded here, and if you want to keep up with his organisation on Facebook, their group is called OGOD. Marianne Thamm’s Daily Maverick column on this issue is also worth reading, for background as well as some early reaction. This is post 13 of 35 in the series “Noakes”.